Canada is the world's second largest country, occupying most of North America. 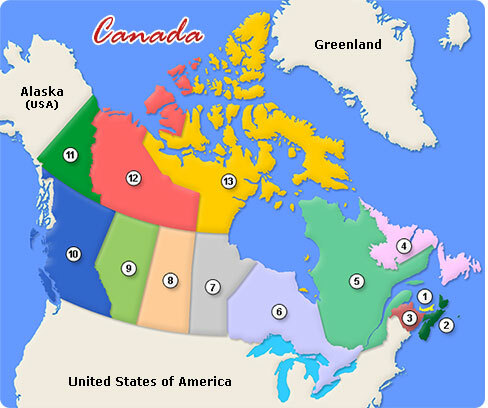 Extending from the Atlantic Ocean to the Pacific Ocean and northward into the Arctic Ocean, Canada shares borders with the United States in the south and in the northwest. Inhabited first by Aboriginals, Canada was founded as a union of British colonies and peacefully obtained independence from the United Kingdom in a process spanning from 1867 to 1982.